Monaco is a prime destination for automotive events and this past October it was chosen to host a conference for a reputable German car brand. The German-based agency ‘nice:-)’ – from Essen – was responsible for organising this event A – Z, and together with the support of the Monaco Convention Bureau and local partners, delivered a successful annual event for the international brand. Organising this annual automotive event for the fourth year now (which takes place at different destinations each year), the standards and expectations were high. Monaco was selected based on key requirements: a maximum three hours flight time from Germany and with an international airport no further than 30 minutes away from the hotel and event venue. Additionally, the client was looking for hotel capacity that could accommodate all delegates together in one hotel. 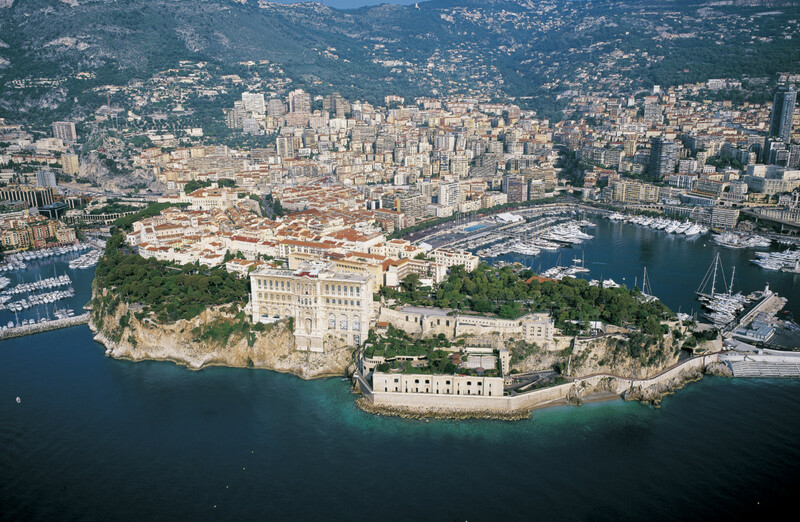 In addition to ticking all these boxes for basic requirements, Monaco was able to bring added value to create a desire to host an event in the Principality. Its international and prestigious appeal, competitive prices off season, the context of the F1 Grand Prix being held in Monaco and the variety of incentive activities in the region for a spouse and partner programme that took place alongside the conference, convinced the automotive client to choose Monaco. A shuttle bus from Nice airport to the hotel was organised for all delegates. Following the client’s brief to host all delegates in one hotel, Le Méridien Beach Plaza was selected as the base for accommodation and the conference. All 350 guests were able to stay in one of 397 guest rooms and suites. The hotel has a prime location on the sea front, offering panoramic views of the Mediterranean Sea, with plenty of daylight in the guest rooms. For conferences, the hotel can accommodate up to 570 delegates in its largest space. As a result, Le Méridien Beach Plaza was the perfect choice, meeting the key requirement to accommodate all 350 delegates in one hotel as well as hosting the conference on site. Catering throughout the stay was also provided by the hotel. The group required a ‘WOW’ (i.e. highly impressive) location for their dinner on the second night. The dinner on the first night took place at the hotel, therefore team nice:-) looked for an unconventional, exclusive and prestigious venue to surprise the delegates. Here is also where the Monaco Convention Bureau became involved, to introduce the agency to the Raising Stones Events, a local Destination Management Company (DMC) and Professional Conference Organiser (PCO), who put forward the Yacht Club de Monaco, one of the most exclusive venues in the Principality that grants access only by personal recommendation. Here, the objective to deliver a WOW factor was met, and delegates loved the venue. Evening entertainment was organised by nice:-). Partners and spouses who accompanied conference participants to Monaco had the opportunity to participate in a side programme for two days. Day trips to Eze and Saint-Paul de Vence were organised by Raising Stones Events, giving participants the opportunity to explore some of the hidden gems of the South of France. Eze is a Medieval village built on a rocky promontory overlooking the Mediterranean Sea, characterised by its small, quaint, cobblestoned streets and full of craftsmen’s boutiques. Participants visited the famous Fragonard Perfume Factory to learn how perfumers master the art of fragrance creation and learn about the raw materials and extraction techniques. Finally, they also created personalised fragrances to take home. Saint Paul de Vence is a small medieval village considered to be one of the jewels of the Côte d’Azur and charms visitors with its authenticity, history and artistic and cultural heritage. Here, attendees had free time to stroll around and explore this little village on their own terms. Despite wanting to do the best for the group and fulfil all client requirements, that was a challenge at times and not all of such requirements were able to be fulfilled in the planning process. The venues and DMCs in Monaco are very busy, and therefore sometimes it took longer than expected to obtain a final decision. Nevertheless, all final venues and activities that were booked fully fulfilled, satisfied or exceeded the client’s expectations. The client was very happy with the event and had higher satisfaction compared to previous years. With very minor last-minute changes, all went according to plan and there was nothing that should have been done differently. In particular, the client gave high appraisal to Le Méridien Beach Plaza for going the extra mile and for their outstanding and attentive service, which exceeded their expectations.